Peace Not War (PNW) is an alliance of Peaceful clans. 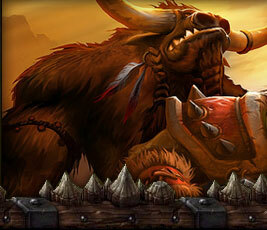 All clans in the alliance agree to follow strict rules governing their actions towards other players in the game. These rules have been put forth to keep the alliance and all clans in alliance at peace with other clans and players in the game. As there are many clans in the game that enjoy Wars, PvP, sieges and the aggressive part of the game. Clans belonging to PNW look to play the game in a peaceful and respectful way while interacting with other clans and players in the game. Clans belonging to PNW agree to strictly follow all rules of the game, to include all Chat Rules and Rules of Conduct. They and their members also agree to strictly follow the rule of the alliance. Game Rules can be found on the DS web site, http://darkswords.eu/index.php and Alliance Rules posted in every alliance clans web site and are as follows. 1. No Pk'ing, or aggressive acts toward any players in the game. If you are attacked by anyone you have every right to protect yourself. Arranged Duels with other players is allowed. It is best if these "Duels" take place in an Arena, but allowed if they happen in a place where no other player in the game can be accidentally involved. 2. No Ks'ing, for any reason. With elemental mobs in the game sometime this cannot be helped. If this happens it is expect that the drops and gold is offered to be given to the player harmed. 3. Rudeness in any form to any person, groups or clans will not be tolerated. This includes in Gra, public or private chats. 4. Threats in any form to any person, groups or clans will not be tolerated. This includes in Gra, public or private chats. 5. Theft from anyone, by any means for any reason is strictly forbidden. 6. Any action that can in any way harm the alliance, any member of the alliance or clans in alliance or integrity and honor of the alliance is forbidden. 7. Public disagreements between clan members, alliance member will not be tolerated. Please keep these in private and/or handle them through the individual clans or if between alliance member through the Board of Regents for the alliance. 8. No clan in the alliance will declare war against any other clan in the game. 9. No clan in the alliance will accept war against any other clan in the game. 10. No clan in the alliance will siege any territory controlled by another clan in the game. Clans can siege territory that are not controlled by any other clans in the game. Violations of any of the alliance rules is punishable by penalties that include Fines (Gold), Alliance Service and expulsion of the Clan with the member who violates the rule. Expulsion of a Clan will only happen if that clan refuses to punish the violator or accept the punishment for the violation. Each clan in the alliance will have its Leader on the Board of Regents of the Alliance. Will also appoint one other officer from each clan as an alternate to the Board of Regents with the authority to act in the absence of the Leader of that clan. There is a 1,000,000 gold admittance fee to join the PNW alliance. This fee will be controlled by the Board of Regents for situations they deem necessary. After Application for Membership in PNW is received the Board of Regents of the Alliance will vote on admitting the applicant clan. Thank you for your interest in joining the Peace Not War Alliance. If you have any other questions or comments please contact BlackMark in game.